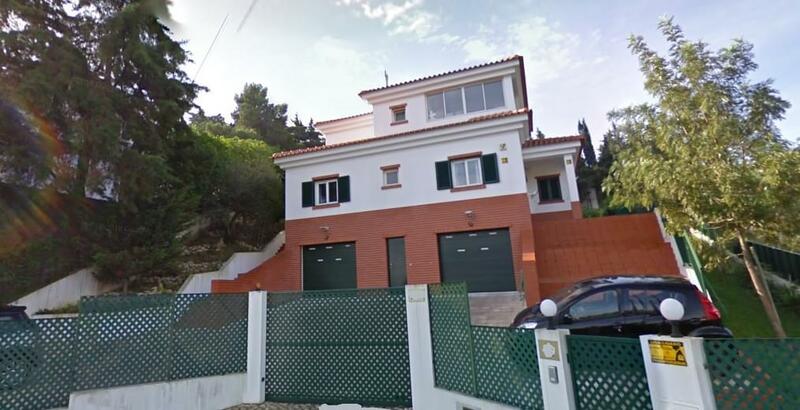 5+1 bedroom detached villa in Alto do Lagoal. The villa is distributed in three floors. With a 52 sqm garage with parking space for three/four cars, with storage and laundry area. First floor: a 66 sqm living room with dining area, both with access to the garden. Equipped kitchen (24 sqm). Two bedrooms and a full private bathroom. On the second floor there is a bedroom with terrace and a full private bathroom, two suites and one more terrace. This villa offers an ample garden with swimming pool and an annex to support the swimming pool, with a bathroom and storage. The villa, located in a noble area, insures privacy and it is only a 10 minutes walk to the beach and services, such as chemist´s, coffee shop, bank and laudry. Quick accesses to the motorway and Marginal.